Registration for Designs is operational in Bhutan now. Conventional priority claim is not yet allowed in Bhutan. Currently Bhutan is not a member of The Hague Agreement, thus the international protection of an industrial design is not available in the country. A trademark is a sign used by a person in the course of business or trade to distinguish his/her goods or services from those of other traders. A trademark can be letters, words, names, signatures, numerals, devices, brands, labels, drawings, symbols, shapes, colours, aspects of packaging or any combination of these. For a trademark to be registered it must be distinctive and capable of distinguishing the goods and/or services of the owner from other similar goods and/or services. Registering a trademark gives the owner rights to enable him to control the use of the sign. It is not compulsory to register the Trademark before using in Bhutan. Bhutan follows the International Classification of Goods and Services as prescribed by the Nice Agreement to classify trademark registrations and it is possible to file applications in all 45 classes in Bhutan. Bhutan is member of Madrid and it is possible to file international application designating Bhutan. Deceptive Marks. It means Marks that attempt to deceive the public. For example, marks that misrepresent the nature, quality or geographical origin of the goods or services. Marks that could cause Confusion. A trademark may not be registered if it is identical with an earlier mark and is to be registered for goods or services similar to those for which the earlier mark is protected; or it is similar to an earlier trademark and is to be registered for goods or services identical with those for which the earlier mark is protected; or it is similar to an earlier trademark and is to be registered for goods or services similar to those for which the earlier trademark is protected. To avoid objections and/or oppositions, it is desirable to conduct a Trade Mark search to ascertain existence of any prior registrations of identical or similar marks. The duration of registration of a trademark is 10 years from the date of filing of application in Bhutan and is further renewable for every 10 years thereafter. Patent Protection in Bhutan is by way of cautionary Notice, as the Patent law is yet to be notified. Bhutan has become member of both Paris Convention and PCT and once the Patent Act is notified by Bhutan Government, it would possible to file both conventional as well as PCT national phase patent application in Bhutan. Under the Patent Act, total term of Patent is proposed to be 20 years from the date of filing. 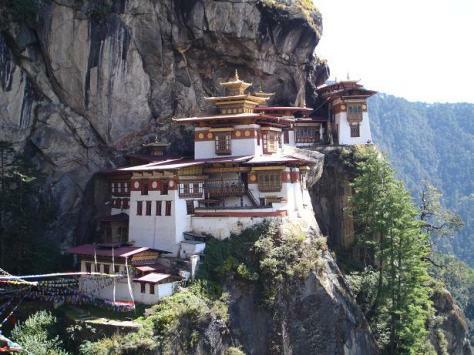 Bhutan joined the Berne Convention for the Protection of Literary and Artistic Works in 2004. Therefore any work copyrighted under any other member country is entitled to same protection in Bhutan. The copyright law in Bhutan, in keeping with international norm and practice does not require any formalities for the exercise and enjoyment of the rights. There is no need to register the work with the Copyright Office nor with any other agency of the Government.